Sony has released their new Imaging Edge Software for Mobile that was formerly known as PlayMemories Mobile. Sony has also released a Transfer and Tagging Add-on. The new Imaging Edge Mobile app offers instant transfer of images from camera to connected mobile devices while shooting. Images can be transferred when utilizing the new “Auto background transfer to Smartphone” functionality(1), allowing users to easily share content direct from their phone to social media platforms. The mobile application also supports 4K movie transfer(2) and remote control functionality. Please note that the “Auto background transfer to Smartphone” feature is only currently supported with the Sony a9 with software update Ver.5.0 or later. It’s very confusing which cameras currently support the features that Imaging Edge for Mobile provides. I’d recommend checking this compatibility table if it’s unclear. Further details including supported mobile devices can be found here. 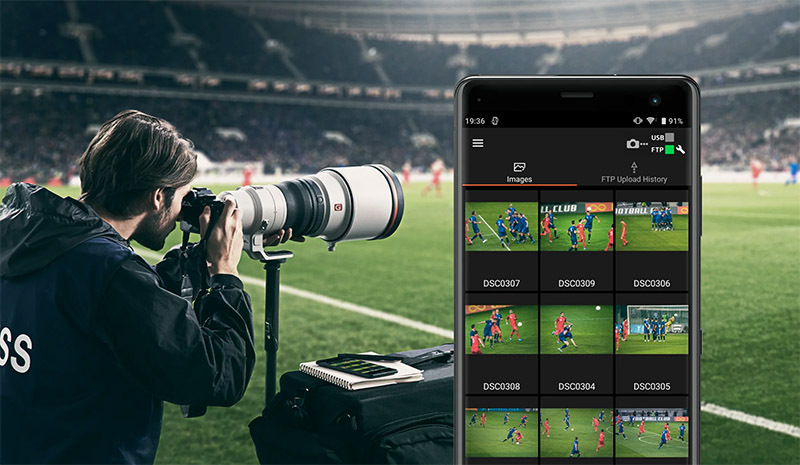 Sony is also releasing a new mobile application ‘Transfer & Tagging add-on’ that supports instant delivery workflow by allowing users to transfer content to their mobile devices via the camera’s FTP background transfer functionality. It also enables voice input for text captioning to streamline overall workflow between photographers and other team members.